The event will launch a community of participants to support the ongoing use of Wikipedia and Wikipedia editing in the classroom. A panel and workshop on using Wikipedia and Wikipedia editing in the classroom is scheduled for later in the conference. This event is supported by a Wikimedia Project and Event Grants (PEG) from the Wikipedia Inspire Campaign to increase the representation of women and women editors on Wikipedia. 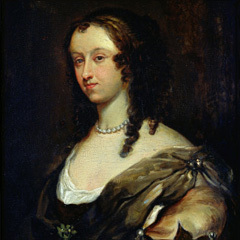 For more information please visit our meet-up page on Wikipedia ahead of time: https://en.wikipedia.org/wiki/Wikipedia:Meetup/Aphra_Behn_Society_Editathon. For more registration information, contact Karen Gevirtz.